25th October 2017 - Every gamer has their own style and with the evolution of RGB this is prominent in almost every gaming system built today, but we know gamers aren’t just defined by what they game on but what they game with. Nitro Concepts is ahead at every corner. 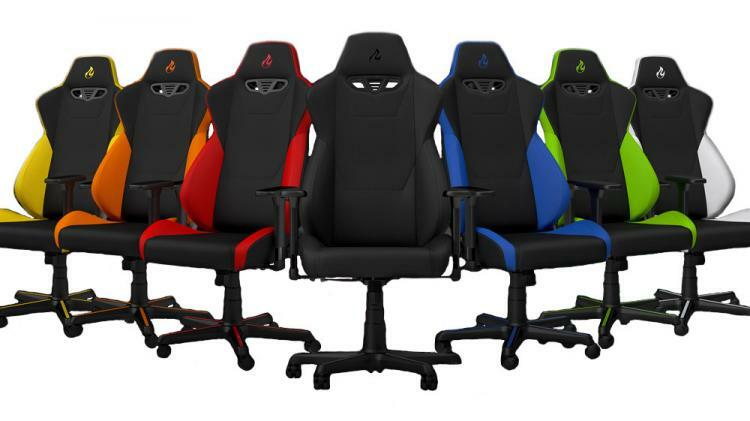 The new S300 gaming chair is sleek, it’s stylish and with the addition of the new adjustable head rest and lumbar support cushions it’s going to keep even the most avid gamers comfortable late up into the night. The Nitro Concepts S300 is available to pre-order now from Overclockers UK in orange, green, yellow, blue, red, white or all black colour-scheme. Priced at £229 inc. V.A.T., each also includes a 2 year manufacturer guarantee.